After we contacted Post-Gazette cartoonist Steve Kelley to schedule an interview regarding the controversy around three of his recent cartoons, Kelley opted not to be interviewed but sent the letter below to NEXTpittsburgh on Jan. 28. Columnist Andrew Conte first wrote about this issue on January 24, and has a new column about Kelley’s response here. 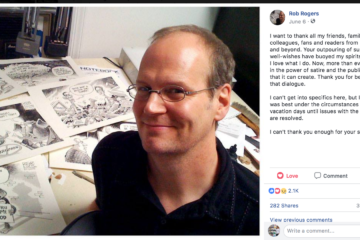 I read the column you wrote about three of my cartoons and the reactions they engendered. 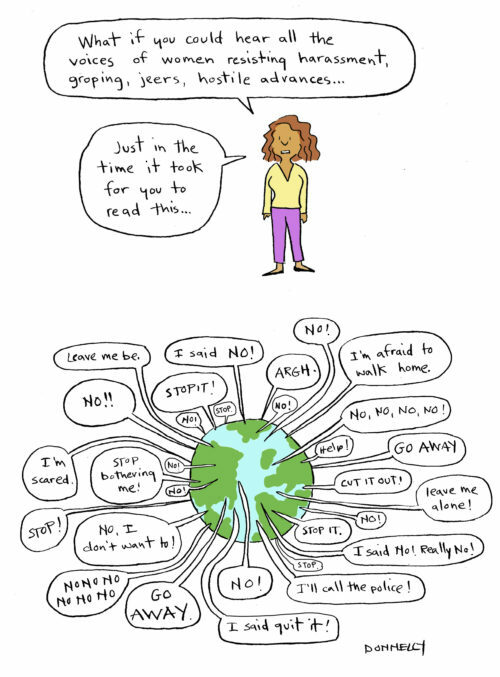 You included in it an interview with cartoonist Liza Donnelly. I’m writing to let you know that I found much of what you wrote — and what Ms. Donnelly said — curious. Of course, no one bothers to make an actual case for what they’re saying, because the case really can’t be made. Whether something is or isn’t funny is a matter of personal taste. The notion that something published today is redolent of a bygone decade and no longer applicable is similarly an opinion — shared by some, discounted by others. My suggesting that there is a woman in the world who wants gender equality but likes that men pay for dinner cannot be construed as a display of hatred for half of the population of the planet. The suggestion that there might be a little girl somewhere who would prefer to divorce Jeff Bezos than to marry a prince isn’t all that far-fetched, much less an expression of hate. 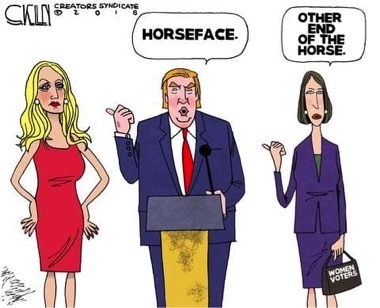 And a joke about a prominent politician’s well-known use of Botox is hardly out of bounds for political humor — those jokes were common about John Kerry when he ran for the White House (I should know — I drew one of them, and no one accused me of misandry). It is often the case that someone who would argue an indefensible point resorts to gross exaggeration and ad hominem attacks instead of linear logic and data. When addressing these cartoons, each of which depicts a specific situation, why is it rational to assert that the characters populating them are meant to represent all of the members of their gender? Do people do that with characters in novels, or sitcoms or movies? It’s a report decrying “toxic masculinity”, released the day I drew the cartoon. After ingesting the story, I elected to challenge the notion that women suffer from men’s “stoicism” and “competitiveness”, both of which the APA recklessly malign in their report. In the aftermath of the letters we received, which insisted that I was a victim of old-fashioned thinking about dating, I researched who pays at restaurants, especially on dates. What are the protocols now, as opposed to the 1950’s and 1960’s? Men: Offer to take the lead. Battista and Mendez both agree that it’s generally best for men to pay on a first date. Yes, even still in 2014—a time in which, as I myself have written, women often outearn men. But the fact of the matter is that men typically want to pay: In a poll last year conducted by LearnVest and T.D. Ameritrade, 55% of men said they thought the guy should take the check. As Mendez explains, many men feel fulfilled and accomplished when they see an opportunity to provide, even if it’s in simple ways like paying for a drink. As for women? “In my experience, 90% will be offended if a guy doesn’t offer to pay,” says Battista. Research by Emmers-Sommer et al. (2010) acknowledged that abundant research indicates that heterosexual dating scripts remain quite traditional, with the man expected to ask a woman out, and to pay for the date. [ii] Their study further revealed that although modern singles believe it is appropriate for either party to initiate a first date, in reality, most men still do so. Contrary to the beliefs expressed by Post-Gazette staff and readers, most dates involve a man asking a woman out and then paying the bill. The notion that some women like that is hardly despicable. 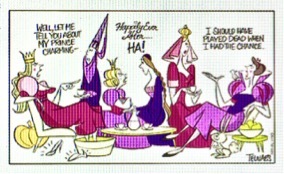 There are three women depicted, all of whom got the prince they wanted, only to discover that he was a disappointment. An amusing cartoon – at the expense of the prince each time. That’s apparently acceptable because Telnaes is targeting men, not women. Yet these three women all wanted the prince when he represented the fairy tale and all its trappings – castles, carriages, glass slippers. 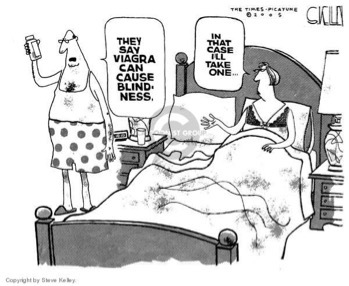 I have no problem whatsoever with the cartoon, and I find it quite funny. I just don’t accept that it’s okay to take men to task when they deserve it, but not women. It seems to do so would be sexism per se. Copyright Liza Donnelly. Submitted to NEXTpittsburgh by Liza Donnelly. Both of these are excellent, but they paint the women in them as victims, which I believe you and Ms. Donnelly are suggesting makes them above the same reproach you level at my work. 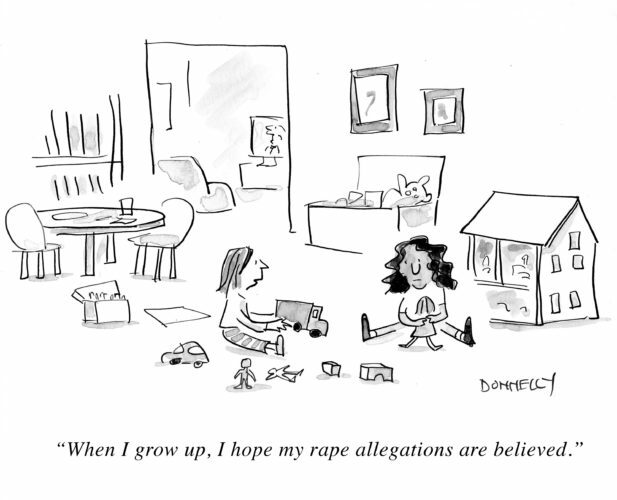 Indeed, Ms. Donnelly’s cartoons play to the notion that allegations made by women against men should be believed in an extrajudicial sense. Why is that okay? I try to avoid seeing people as members of groups. My job is to produce five amusing and provocative cartoons each week addressing the shortcomings of government or individuals, some of whom are women. In order to treat everyone the same, I look at no one as privileged or underprivileged. To do otherwise would mean that I’m not treating people fairly. Likewise, would a man who hates women have drawn this cartoon about sexual harassment in the workplace early in his career?